SAN FRANCISCO, CA--(Marketwired - Aug 10, 2016) - LendingHome, the largest mortgage marketplace lender, continues to instill investor confidence for investing in its high-quality, high-yield real estate assets. Today the company announced the appointment of expert risk leader Cynthia Chen as its chief risk officer (CRO). This key hire augments LendingHome's risk team with deep experience in mortgage underwriting, risk modeling, credit analytics, operations, and technology. The company also announced the formation of LendingHome Marketplace LLC, a special purpose entity that better protects individual investors by reducing the risk associated with LendingHome as a company. To date, LendingHome has funded over $750 million in mortgage loans, cementing the company as the largest, fastest-growing mortgage marketplace lender. The company has also returned over $300 million in principal and $25 million in interest to investors. As LendingHome's CRO, Cynthia Chen is responsible for all aspects of mortgage risk management and analysis across the company's portfolio of real estate loans. Chen has a 12-year proven track record of providing risk and mortgage underwriting leadership at top financial institutions. This includes serving for over six years as a credit risk expert on engagements with institutions such as Fannie Mae, where she led the assessment of mortgage portfolio losses and automated valuation models, as well as Washington Mutual, Ally Bank, and E*Trade. 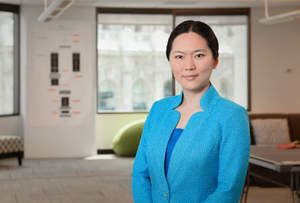 Chen also served at Capital One as the director of commercial credit portfolio analytics where she led the team responsible for the allowance of loan and lease losses (ALLL) forecast of the bank's $50 billion-plus commercial and small business portfolio. Additionally, Chen brings fintech experience from OnDeck Capital where she led the company's risk management function, created a risk governance framework, and developed and implemented risk models. This included the development of machine learning models based on alternative data and performing risk analytics using big data techniques. Chaomei Chen -- As an advisor to LendingHome, Chen has more than 25 years of expertise in the financial services industry with a focus on credit policy, risk management strategy and execution, decision science, and risk operations. She served as CRO and chief credit officer for top financial institutions including JPMorgan Chase Card Services/Wamu, FleetBoston Cards, and Providian Financial Services. Most recently she was CRO for LendingClub from 2011 through 2015, which included the company's IPO in 2014. John Slominski -- Recently hired as vice president of credit and risk management, Slominski leads LendingHome's risk and credit policy teams and functions to ensure sound product fundamentals, quality production to all credit policies, and the optimization of operational requirements across conversion and cost. Slominski brings 30 years of senior mortgage risk and underwriting management experience. Recently he served as senior vice president of underwriting and default services at Associated Bank, vice president of credit for Radian Guaranty, and held other senior positions at institutions such as Fannie Mae, Bank of America, and Citi. "With the hire of Cynthia as CRO, we've built out a world-class team with deep mortgage and risk experience from some of the top financial institutions in the country," said Matt Humphrey, CEO and co-founder of LendingHome. "By combining their human expertise with the accuracy and efficiency of our underwriting technology, we're better able to scale our platform to give even more investors access to our high-performing mortgage assets." "LendingHome's investor platform gives me additional business opportunities that otherwise would entail taking on excessive risk," said Adam Blum, a private investor based in Austin, Texas. "Underwriting a loan and fully vetting a borrower is a labor-intensive undertaking that I have always done myself for transactions here in Texas. But by investing with LendingHome, I can rely on the company's sophisticated underwriting algorithms and advanced technology to take on lending opportunities in other markets such as Denver and Phoenix. Now that LendingHome offers increased protection and a seasoned risk team, I have more confidence in growing my business using its platform." LendingHome reimagines the traditional mortgage process to transform it into a fast, transparent, and reliable marketplace for borrowers and investors. It does this through its proprietary technology platform and team of seasoned real estate investment experts. LendingHome serves borrowers looking for financing to purchase or refinance residential real estate properties. At the same time, it serves institutional and individual investors looking for access to attractive, high-yield real estate assets. Based in San Francisco, California, LendingHome has 200 employees and has raised $109.3 million in funding with leading investment from Renren, Ribbit Capital, Foundation Capital, and First Round Capital. To learn more, go to www.lendinghome.com.